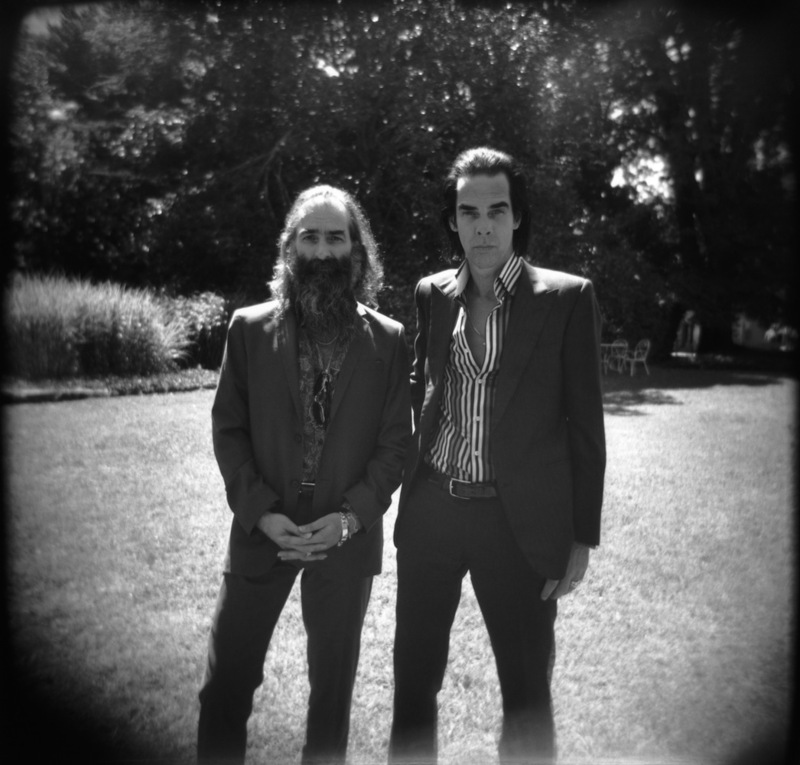 Nick Cave and Warren Ellis have always had a flair for atmosphere. As the main creative fuel behind the modern incarnation of the Bad Seeds, fans will have experienced first hand their music’s ethereal other worldliness - its ability to unearth feelings and moods buried far away. The pair's numerous works for TV and film, though, share a kinship with Bad Seeds’ studio albums in its nuances and sensibilities, every string or piano line holds the power to communicate a wealth of emotions. It’s an easy part of Cave’s discography to overlook, to assume that without the films the pieces are redundant. However these soundtracks do not require their visual counterparts to be made hold. They exist in isolation as gorgeously crafted compositions that are unavoidably moving. Cave and Ellis have been churning out soundtracks at a rapid pace over the past decade and have accumulated a vast amount of work from the soon to be re-released, mostly instrumental, The Proposition to the down and dirty bluegrass of Lawless. It’s a discography that will hold a wealth of rewards for any fans of their previous work. Whether you’ve been to the edge of the internet searching for some B side love ballads or are merely soothed by Ellis’ string arrangements, diving head first into their soundtracks is worth the time. So, here is a breakdown of their five best scores. This 2005 western film, penned by Cave, has all the appropriate Nick Cave themes, so much so that it seems it could have come straight out of 1994’s 'Murder Ballads': death, violence, murder, family betrayal. Naturally, Cave and Ellis’s score works wonderfully with the dark subject matter. The soundtrack is made up of instrumental themes that are loaded with moaning strings and delicate piano melodies. The lyrics are minimal and when Cave does sing it is more of a subtle moan that seems to blend in with the instruments rather than acting as the song’s foundation. 'The Rider' themes in particular are haunting and borderline disturbing in a beautiful way, Cave’s sing- song whispers compliment the building angst of Ellis’ screeching strings. Whilst 'The Proposition' themes are delicate lullabies with an unnerving underbelly - the soft piano chords and Cave’s vocal melody accentuate the melancholic beauty of the tracks. ‘Happy Land’ is a particular stand out, its forlorn string are so romantic, so that when the airy guitar notes chime in it will lift up even the less sensitive of listeners. There is something so wonderfully bonkers about Cave and Ellis’ soundtrack for this 2016 National Geographic television series. It’s an idea that sounds so wrong in theory, Nick Cave and Warren Ellis writing a sci-fi soundtrack? Never. This is no cheesy 80s affair but a sophisticated collection of brooding ambient tracks. Particular stand out, ‘Earth’- featuring slow building synths and dainty piano - is one of the most ethereal works Cave and Ellis have ever composed, worthy of feature on any ambient playlist besides greats such as Eno or Aphex Twin. There’s also the show’s theme tune which has an air of 1980s era Iggy about it, if he were travelling through extra- terrestrial dimensions. If you were to listen to this soundtrack without any prior context you would presume that Cave and Ellis’ side project, Grinderman, had produced a country-blues covers album. In many ways, that is in fact what the soundtrack to 2010’s western drama flick, Lawless, is. The album's undeniable highlight however comes from the original Cave/Ellis composition, ‘Cosmonaut’ which will satisfy the more sentimental hearted of the Bad Seeds fan base. Emmylou Harris provides airy vocals whilst Cave proves once again that he is the modern day aficionado of the love song. The early winter of 2009 saw Cave’s long-time collaborator Mick Harvey take leave from The Bad Seeds in order to focus on his solo projects - the partnership that carved out the distinctive sound of the band’s early albums was no more. Instead, Ellis took over from Harvey as Cave’s main collaborator and The Bad Seeds’ sound shifted from nuanced alternative rock towards more ambient territory. In this sense the work that Ellis and Cave were doing outside of the Bad Seeds began to bleed into their studio albums. Which is why when you listen to ‘West Of Memphis’ it almost sounds like a distant cousin to 2013’s ‘Push The Sky.’ Whether it was a conscious decision or not we will never know, but it’s there from the similar instrumentation and the subtle similarities between chord progressions; if you listen to the slow, building synth introduction of 'Vincent Di Maio’ it has a startling similarity to the title song from ‘Push The Sky Away’. The same goes for ‘Groundswell’ and ‘We Real Cool’ which thanks to similar use of rumbling guitar are brimming with menace. In this sense, both albums seem to capture that emotion caught between wonder and pain. But to discuss‘West Of Memphis’ purely in relation to a Bad Seeds album is to diminish its raw, rambling beauty. It is individual in its unnerving sound, existing somewhere between gothic americana and atmospheric dream music whilst being embellished with flecks of 80s horror movie violence, queue the threatening piano of ‘1994’ which mirrors the documentary’s harrowing subject matter. Understandably one of the most well known of Cave and Ellis’ soundtracks, ‘The Assassination Of Jesse James By The Coward Robert Ford’ is pure sonic magic. Although similar to ‘The Proposition’ in its use of primarily piano and stings, ‘The Assassination Of Jesse James...’ trades the dark, disturbing, atmosphere for something a little more gentle and hopeful, whilst maintaining that slightly uneasy atmosphere that mirrors the film’s tension. Cave’s piano can be seen taking centre stage on a few more tracks - listen to ‘Song For Jesse’ and you picture hundreds of fireflies dancing around a darkened sky, whilst ‘What Must Be Done’ is a slow yearning piano ballad that intertwines with Ellis’ strings to create a melody that is simultaneously peaceful, heartbreaking and life affirming. In contrast tracks such as ‘Cowgirl’ and ‘Carnival’ bring the Americana sass of very early Bad Seeds tracks, and ‘What Happens Next’ is a whirling frenzy of cinematic propositions - the hammering drums and slow building paranoid strings make for an epic moment of menace. What is so excellent about ‘The Assassination Of Jesse James...’ is its variation; it takes all of Cave and Ellis’ best work and ties it together in an elegant soundtrack full of high drama and unnervingly beautiful piano melodies. 'The Proposition OST' will be available on vinyl for the first time from November 2nd.